This three octave professional instrument produces a rich accordion-like tone. The Pro 37 Melodica is a hand-held wind instrument has 37 piano style keys with a tonal range is F below middle C through F. It features durable bronze reeds that won't loose their pitch. The S37 is Ideal for students as well as advanced players. Deluxe padded zipper case, mouthpiece and extension hose included. The Melodica is a fascinating wind instrument, easy to learn and powerfully expressive. Played like a piano, it is so compact that you can take it with you anywhere. Producing single notes or chords, the Melodica is both a solo and orchestral instrument, blending beautifully with other instruments. 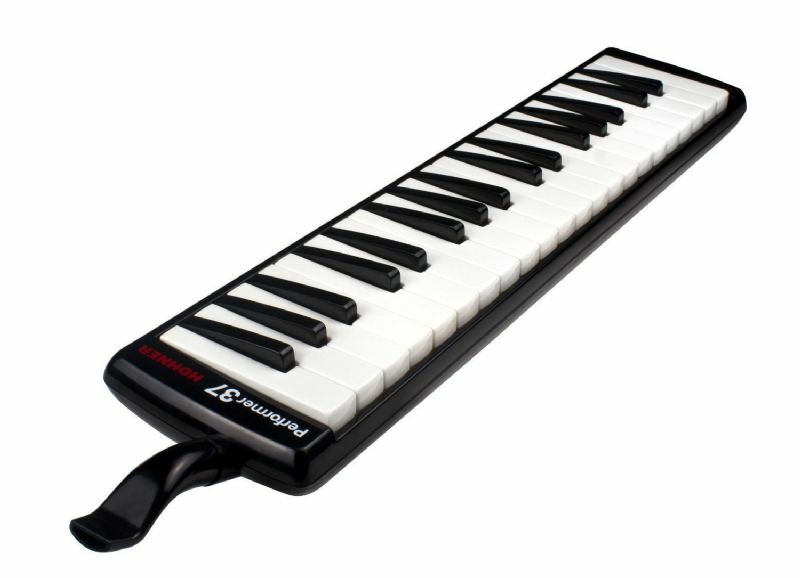 Whatever the music you like - from classical to rock - the Melodica will add its own personality, a unique and captivating sound.